Enhance your AUDI A3 8V with the look of semi-dynamic turn signals. Do you like the dynamic flashing of the "newer" AUDI models? 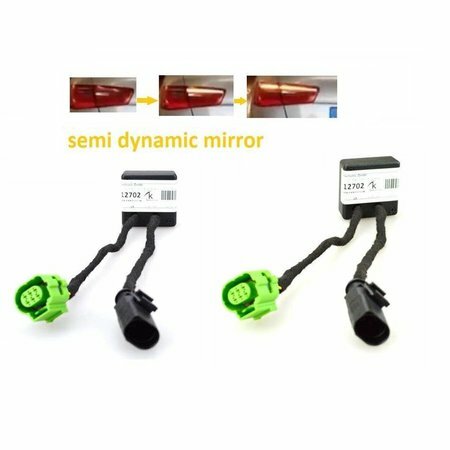 Install these plug-and-play add-on modules and the flashing lights on your AUDI A3 turn on one after the other (first the inner - then the outer flashing light) - this function is called "semi-dynamic flashing". Some vendors call this function "dynamic flash module" - technically speaking, however, only a sequentially switched flashing (= semi-dynamic) is possible. If this circuit activates exactly the right timing as with these modules offered here, the semi-dynamic solution still looks almost like the "big" solution with complete conversion to facelift / dynamic rear lights. Our add-on modules do NOT generate any error messages in the on-board computer (blinker defective) as well as no entry in the fault memory of your vehicle and are manufactured industrially (= no self-assembled / soldered circuit). 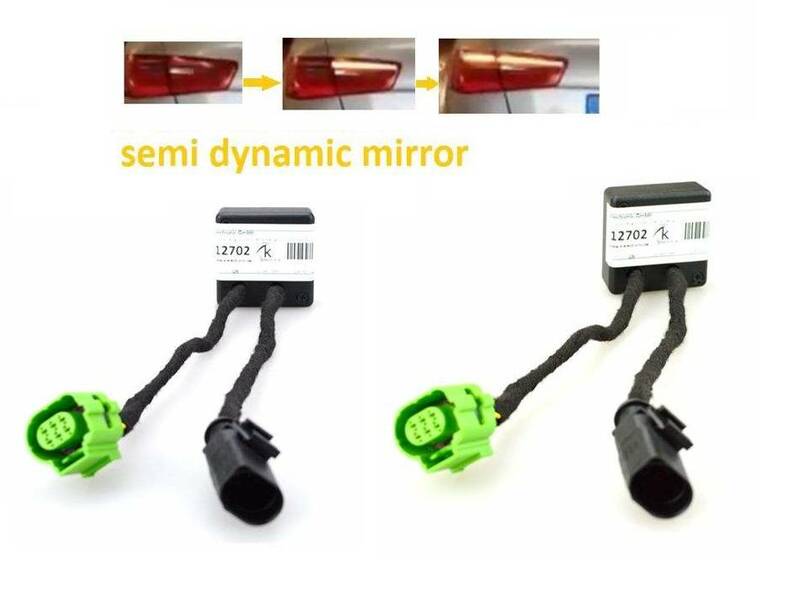 We supply you here the proven additional electronics for the generation of the "running" turn signals, these are particularly suitable for your AUDI A3 / S3 / RS3 8V with built-in LED taillights. Suitable for all AUDI A3 8V pre-facelift models (= until model year 2017) as well as all body shapes (3-door, Sportback, sedan, convertible). NOT suitable for models WITHOUT LED rear lights (= models with halogen rear lights). These add-on modules are plugged in BEFORE the existing rear lights - no further cable routing / coding work required. Remove the rear lights - these are only screwed together with one screw (remove boot lining - loosen screw - remove rear light - insert adapter - DONE! ). Not allowed on public roads.